Amazing Antique StageCoach Bench Readiness Modification - TMRnyc - Total Metal Resource, Inc. If airplanes were still made out of wood. This is how they would build the seating. These amazing lightweight stagecoach benches were meant to be sturdy and light, as well as offering some much needed suspension to the rider and driver over rocky trails. Thin steel rods support the arm rests and backs so that the wood construction can be as small and light as possible. The slats across the seat are very thin. The mechanics probably replaced them frequently as a few were broken. 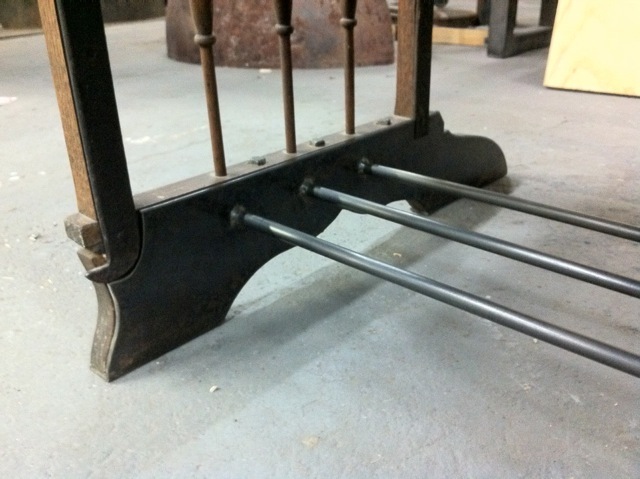 We reinforced the wood construction with a 3/16″ steel plate and hand forged support brackets that meshed with the hardware and blacksmithing technique of the time. 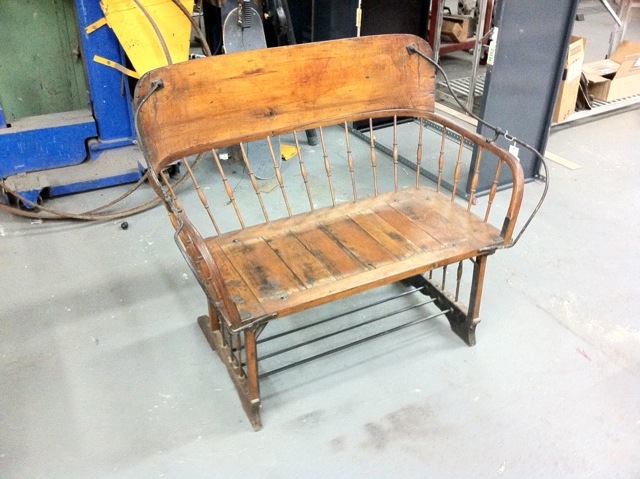 The integrity and value of the antique was preserved in the event that the supports had to be removed, the goal of turning them into functional seating again was restored. You can visit these fine benches at a delicious new restaurant in Greenwich Village called Buvette. We enjoyed working with Chef Jody Williams and the Construction Management Firm of MG & Company who performed a phenomenal build with this restaurant.